The Whole Allotment and Nothing but The Allotment! Great news today! 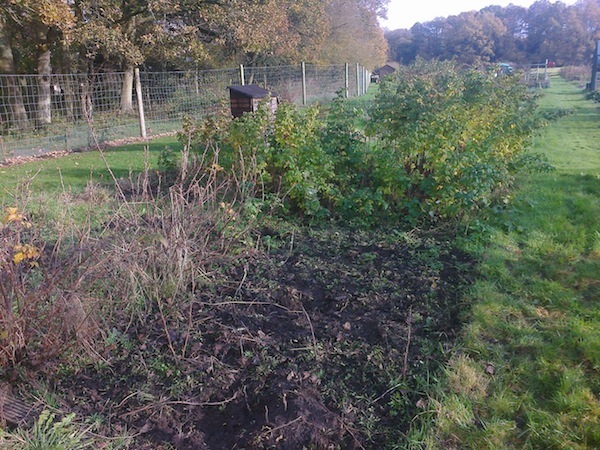 The other half of the allotment is ours as of this weekend, so we are hugely excited! 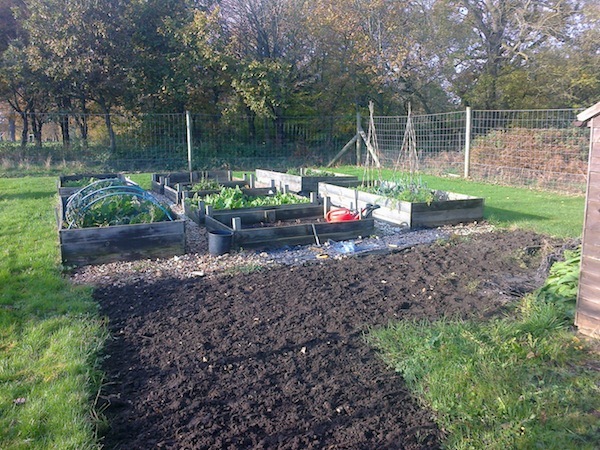 This means that, as well as having the raised beds, we now also have a shed, space for another raised bed (and perhaps also a greenhouse depending on what the Allotment Committee might think), and a glorious display of fruit bushes. In the fruit area, there are at the moment a lot of raspberries, some currants and also rhubarb, so that’s wonderful. Plus there’s space to add more fruit once we decide what we like. Today we were there for a couple of hours or so – in the unexpected sunshine too! 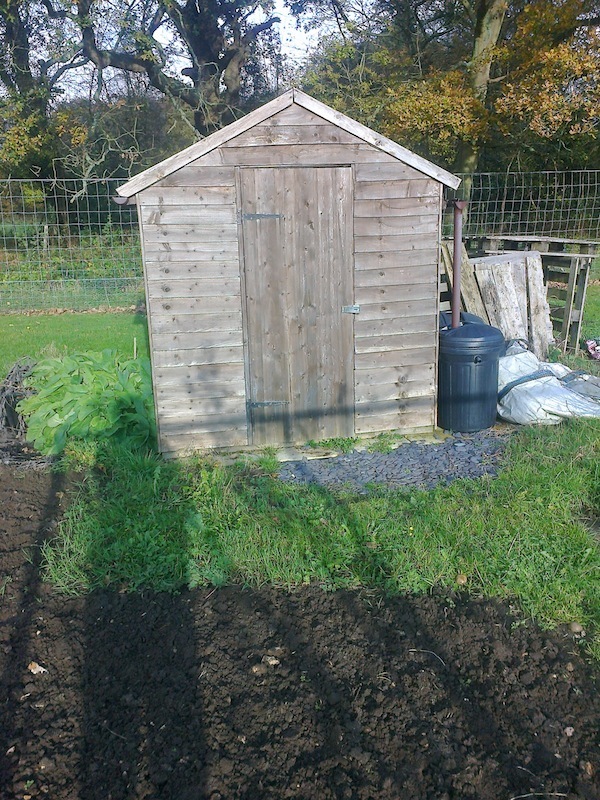 I did the hoeing and also cleared out about a quarter of the fruit bush area, while K put new windows in the shed as both of them were broken. We’ll need to add more insulation to the shed too, and get a couple of chairs and maybe a small table where we can sit and survey the land, so the winter is going to be hard work but lots of fun, I can see. No more foxgloves today, but I did plant the rest of the tulips which I remembered to bring from the car this time (hurrah!) so we’ll hopefully have a lot of spring cutting flowers to look forward to next year. 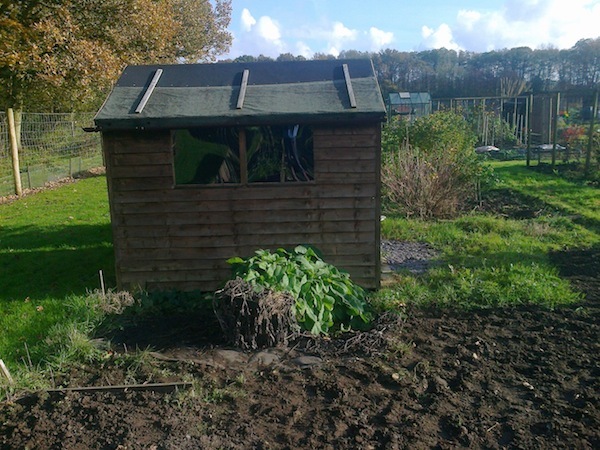 Categories: Allotments, Gardening | Tags: allotments, currants, foxgloves, fruit, fruit bushes, raspberries, rhubard, shed, soft fruit, tulips, weeding | Permalink. K and I spent most of the morning at the allotment, and what fun we had, hurrah! K planted the last of the eight raised beds with Charlotte potatoes, while I weeded and watered the rest of it. Oh and we remembered the slug pellets and scattered them around, and I killed three more slugs. I am indeed the Queen of Slug Doom. However, K thinks we won’t really have anything ready for the upcoming Elstead Allotment Show in September which is a disappointment, but understandable. The plan is to support it this year, and have a go next year – with something, but goodness knows what! 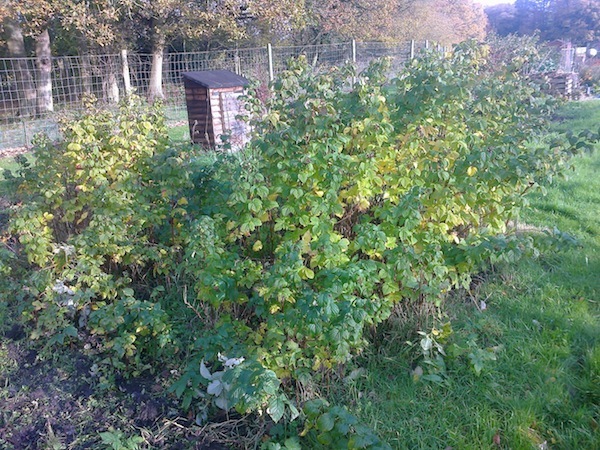 Categories: Allotments | Tags: fruit, potatoes, slugs, weeding | Permalink.